This update comes long overdue. So long overdue that I feel I should explain. During this very difficult year for me personally, I found it necessary to back burner many dear-to-my-heart things. I’m happy to report that a most welcome corner has finally been turned, and I can now put my renewed energy into something I love to do—send you this update and say thank you! You can tell from the subject line that the babies haven’t been at all neglected. Thanks be to God! Many have been so faithful to keep giving despite my lack of expressed gratitude. 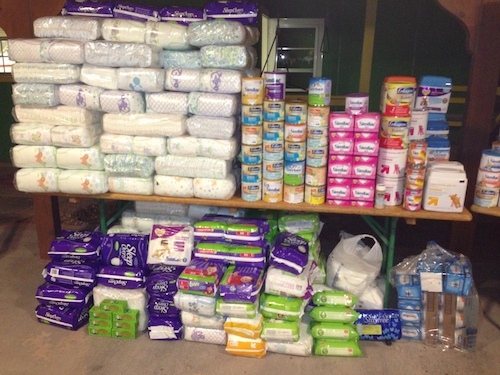 Loads of supplies have been delivered to Juarez by friends in Oklahoma, Arizona, and Colorado. We’ve had churches like Christ’s Greenfield step up and take a massive collection—of both supplies and cash. Very special MOPS groups from Cherry Hills Community Church and FBC Frisco (in Texas!) stepped up in a mighty way to bless moms in Juarez. A generous young man named Chase asked for supplies last Christmas. (Can you even imagine?) 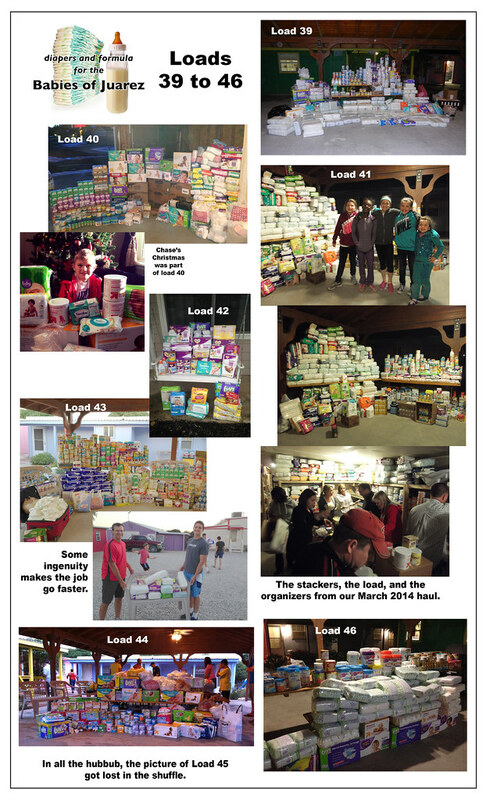 Discovery Bible in Oklahoma has been collecting and taking supplies with them on their house-building trips. BAE Systems in Phoenix took up a huge collection that we got to take down earlier this year. Every single collection represents individuals who have given their time and sacrificed resources to give some babies in Mexico a future and to help carry the burden of some in-need families. I just cannot thank you enough. 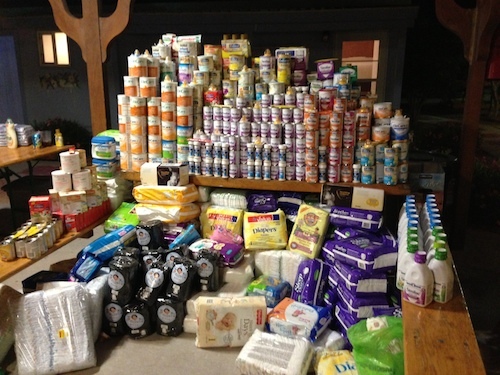 The large groups represent only a portion of the supplies given. Many of you give as individuals—of your time to get the supplies to me and also of your resources. Almost every time someone hands me a single can of formula or an opened bag of diapers, they tell me it isn’t much and wish it were more. All of you dear ones, please take a close look at the pictures below to see what a bunch of people’s “not much” looks like when combined. Basically, you rock. Two more quick things before I share pictures. 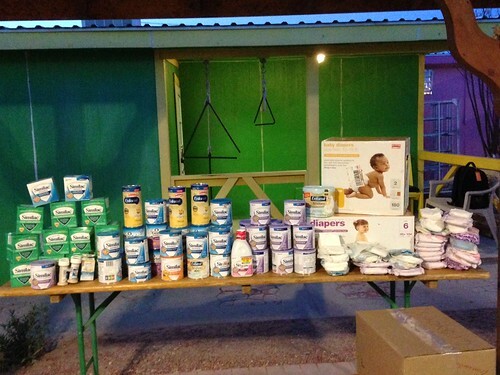 · One sustaining reason we’ve successfully met the needs of the babies in Juarez this past year: monthly gifts. A few of you generous people donate money every single month to BOJ. And I love to spend and stretch these funds. I regularly shop clearance formula and use coupons sent to me. We put every penny to great use, I promise you. 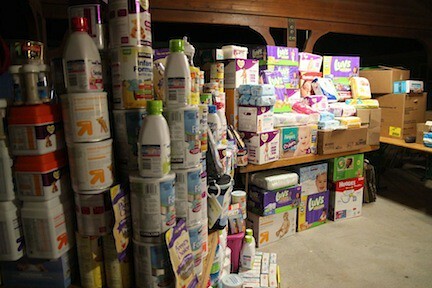 And, one other noteworthy thing—every single dollar given goes to buy diapers and formula. Any admin costs of the ministry are covered by someone else. If a person gives $50 a month for supplies, $50 is spent on supplies. So if you’re looking for an opportunity to regularly make a difference in a child’s life, please consider us. 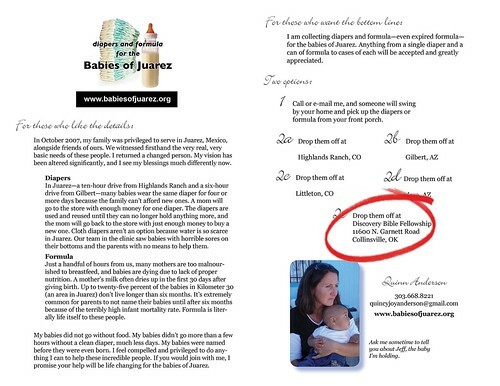 You can send a check to Babies of Juarez at 2487 S Gilbert Road, Suite 106-266, Gilbert AZ 85295 or give online. It makes a huge difference. · My oldest daughter and I had the coolest opportunity to make a special trip down in June to be part of the distribution of supplies. We took lots of pictures, but the story deserves a separate post, so you’ll have to wait to see all the darling faces. For now, just know that the beneficiaries of your continued support and generosity are some very precious babies and very grateful mamas. I can’t do your giving justice with my words alone…so here are some pictures. You’re all very near and dear to my heart. Thank you for sticking with me and continuing this work of feeding hungry babies. 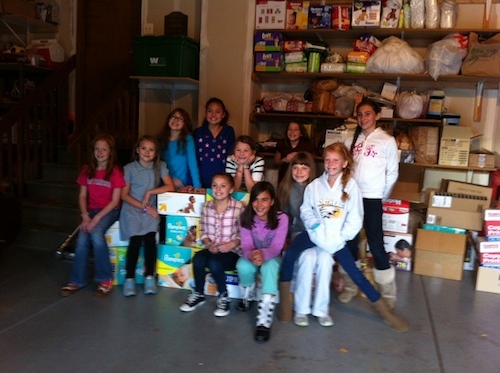 Babies of Juarez is having a wonderful year! 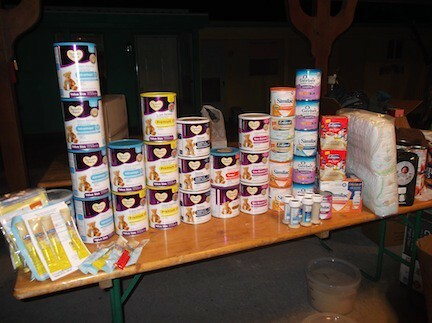 Since our last update, we had the joy of taking loads of diapers and formula down to Mexico in both June and October. And as I type, supplies in Colorado have been loaded into a trailer and are heading across the border tonight. There are so many great things happening…! And this is load 38 in its entirety. Heading down and across today. Yay! Of the other fun happenings, one that tops the list is our expansion into Oklahoma. Here’s our newest flyer with the added drop-off area. 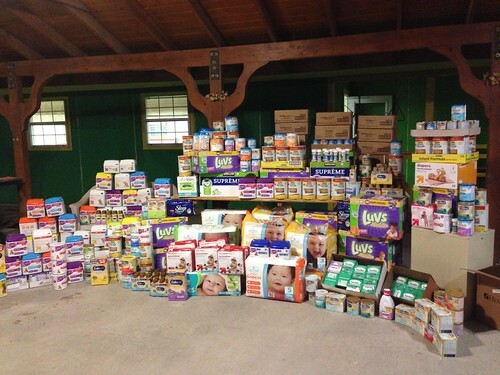 What an incredible way to increase the number of babies we get to serve. We couldn’t be more excited about this addition to the BOJ team. 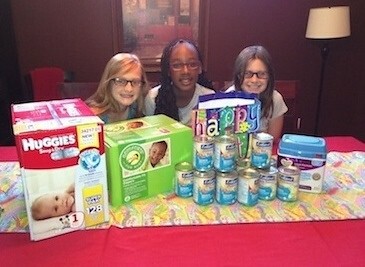 In the last few months, two sweet girls collected diapers and formula during their birthday celebrations. Babies of Juarez watched a fun donation come to Arizona via an old Michigan connection. That friend worked extra hard to get us his family’s gift to the babies. 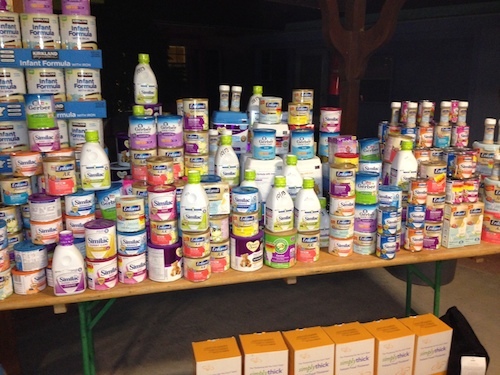 His baby couldn’t use the formula they had purchased, so he and his wife donated it to the babies in Mexico. From a baby here to a baby there! An especially fun exchange. We had a friend from school get involved with a sizeable donation through his generous, community-focused company, Bell State Bank. That gift fed many hungry children. 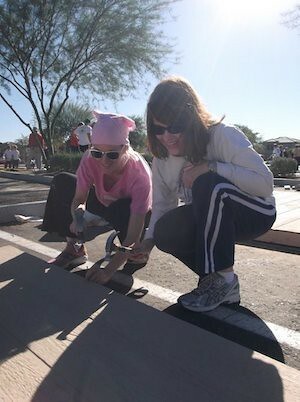 The project called Pay It Forward: Community Connect is making a difference through its employees. 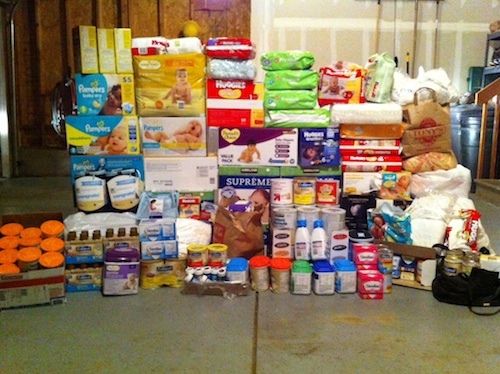 A friend of the project put together a drive in Mesa and collected this for the babies! While this picture reveals our annual trip to the Nike employee store, it also shows a sample of what was relocated from Washington to Oregon to Arizona to Juarez, Mexico. When God wants to take care of his babies, he finds a way! 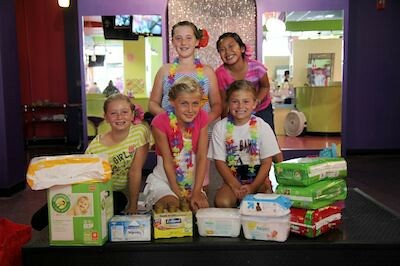 Every one of six suitcases held a stash of diapers and formula. TSA maybe thought we were nuts. And there it is…the hauled-down, stacked-in-Mexico (to show you all), ready-for-distribution photos. Loads number 36 and 37. Our distribution methods have evolved over time. 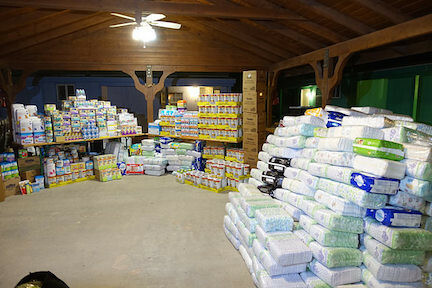 For most of our operating years the diapers and formula have been distributed through the pastors of five local churches. They have a pulse on the greatest needs in the community and this way the supplies are rightly viewed as God’s provision. Just recently we’ve had one local pastor take on the role and distributes during set dates and times, sits down with the families and leads them in a Bible study, and then distributes the supplies. We’re very grateful for Pastor Martin and his approach toward helping people physically and spiritually. Thank you for your incredible support over the years. You’ve given a brighter future to a whole lot of babies. From the bottom of my overflowing heart, thank you. Happy December! Where oh where has this year gone? 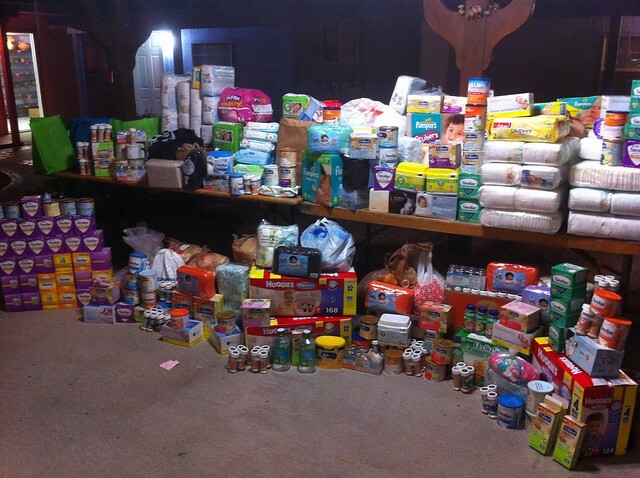 It’s been a busy and incredible one for the Babies of Juarez. We’ve made many trips down with supplies and have held a huge number of healthy, thriving babies. We’ve even been accused of making a few of them chunky. Thanks be to God! Thank you for the incredible giving you’ve done this year. It has made such an impact in families that simply don’t have the means to buy the necessary supplies I took for granted in the U.S. The pictures below will show you what’s been collected the last few months. (And three of the aforementioned healthy, thriving babies.) We’re just going to call it The Mother Lode. Some of our wonderful donors recently have prefaced their gifts with “I know it isn’t much…” and I beg you all to look at the pictures to see what happens when a whole lot of people give “I know it isn’t much…” It’s a beautiful sight and one I’ll never get tired of seeing. Keep up the amazing work, folks. Here’s to an equally wonderful 2013.